I would first like to apologize for my delay in posting another blog. I haven’t posted anything in a while. I’ve been pretty busy here lately. So without further a due here is my blog post on the Iowa Poll Results. I personally have not picked my vote for the 2012 Presidential Election. Up to this point I have said that the Republicans do not have a good candidate and I was not going to vote for President Obama. Now there is talk that a Democrat may step up and run against Obama. I would love to see that happen but not sure if it will or not. I can guarantee you that Obama will have his hands full if the economy doesn’t turn around and soon. I do, however, believe that he has some hidden tricks up his sleeves that he will try to pull to misguide the American people. Like previously stated, until now I’ve always said that I don’t believe that the Republicans have a strong candidate. Here I will tell you that I’m not all that crazy about Michele Bachmann. I think she’s a little too radical, now don’t get me wrong, I think she’s a good candidate; I just think that she wants too much of a change, almost to the point of being unrealistic. Yes, there are major changes of direction that are needed but let’s do it in as much of a bi-partisan way as possible. I think where she is going is a little too unrealistic and too much of a change in too little of a timeframe. Now, on to Ron Paul, I think Ron Paul is a great legitimate candidate. I love where he stands on states’ rights and even a lot of domestic issues. If you haven’t noticed by now I’m a big states’ rights person. I have a tendency to disagree with Ron Paul on defense issues and international affairs. The problem with Ron Paul is that I think he is a little too Libertarian for America. He is, in fact, a Libertarian running as a Republican. Please note that I do not have a problem with libertarians. I don’t know hardly anything about Tim Pawlenty and to be completely honest I haven’t really ever considered him a serious candidate. I’ve heard his name but haven’t considered a serious candidate. Now that I see him as number three in this poll I should look more seriously at him, so I thought anyway. Since the poll came out and he saw that he was number three, the former Minnesota Governor has dropped his bid on becoming the next President of the United States of America. I personally think Tim dropped his bid prematurely. Mitt Romney is a candidate seeking the Republican Nomination to become the next President of the United States as well. To be perfectly honest, I haven’t cared for Romney in quite a while. As Governor of Massachusetts, Romney introduced a state healthcare law that has failed miserably. When later talking about Obama’s Health Care Law compared to his, he failed to own up to his mistake while at the same time criticizing Obama’s Health Care Law. I think we need a President that will own up to any mistakes that he/she has made both prior to and during their Presidency and I don’t think he would do that. That’s just my opinion. 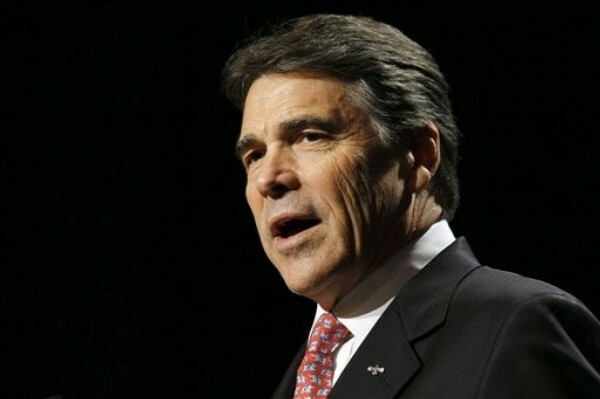 Rick Perry came in sixth place in the Iowa Poll with 718 votes which is 4.3% of the total votes that were cast. At first glance this may not seem very good and to so me people may be downright bad. However when you take into consideration that Perry just announced his candidacy this past Saturday in South Carolina, and the fact that that’s also the same day that the votes were cast in Iowa. That’s pretty impressive. When you also take into consideration that Rick Perry’s name was not even on the ballot; that over 700 people physically wrote in Rick Perry’s name, it’s even more impressive. I personally don’t know much about Rick Perry, although I have heard some, but I haven’t yet made up my mind about him politically. However from what I do know thus far, I like what I see. I believe that he will be a force to be reckoned with and will be a powerful candidate in which people will have to take seriously. Now as far as Herman Cain, Newt Gingrich, Jon Huntsman, and Thaddeus McCotter go, I don’t know much of anything about them. I have heard of Newt Gingrich before but other than him I haven’t, and probably won’t, take any one of these people serious as candidates. Not trying to be mean in any way just being honest. I could be wrong but I don’t see any of them as having a chance against Michele Bachmann, Ron Paul, Rick Perry, or even Mitt Romney. 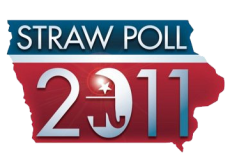 I hope to this gives you insight into the Iowa Straw Poll results. Please note that the results are fact but the rest is what I think about the candidates. I try to let you know what I think of the candidates but I urge you, DON’T TAKE MY WORD FOR IT! Go and look up each candidate for yourself. We need to decide who we want in our White House in 2013-2016. Do you want what our current President has been offering and giving us? If so, then by all means vote him back in. If not, then look at the other candidates and where they stand on the issues and what you believe. Please make an educated decision and exercise your right to vote. Many people have given their lives for the right to vote and now many of us either don’t want to or don’t care one way or another. We need to practice what our forefathers gave their lives for.